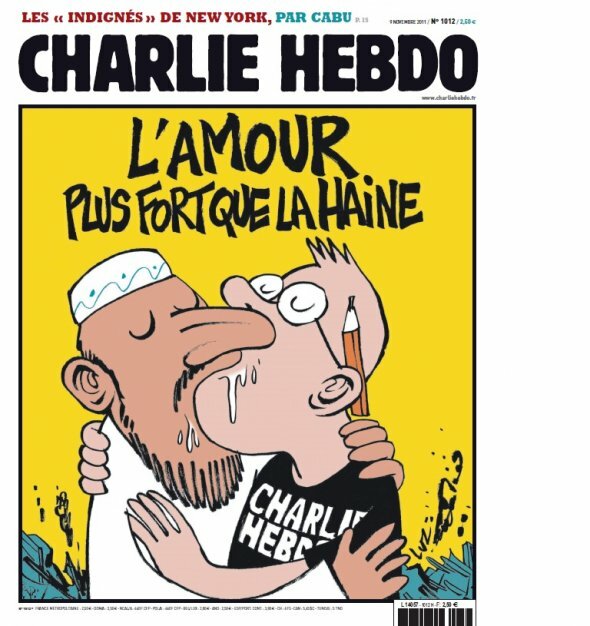 "Love is stronger than hate" says the French satirical magazine, Charlie Hebdo, in its latest issue - of course, in their own inimitable acerbic style. 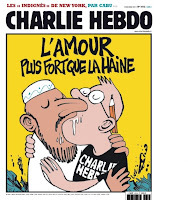 The magazine was firebombed on November 2, 2011 for satirizing radical Islamists. The cartoon on the cover page of the magazine had depicted Muhammad promising "100 lashes if you don't die from laughter." After last week's attack, the magazine has been operating from the offices of Liberation, a leading leftwing daily founded by Jean-Paul Sartre. "This self-censorship goes beyond a reticence to display representations of the Islamic prophet. Fear of Islamist violence has curtailed critical discussions of the Quran, and silenced those who would decry the treatment of women in some Islamic communities. ... ... ... For militant Islamists, there is no ideological distinction between firebombing a newspaper's headquarters and murdering a filmmaker like Theo Van Gogh.